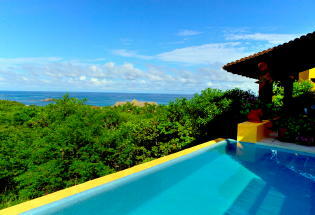 Villa Catarina is located inside the development of the Punta Mita Gated Community. It is approximately forty-five minutes north of the airport. 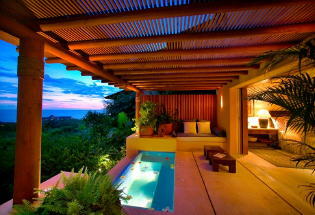 The Villa consists of 3650 sq. 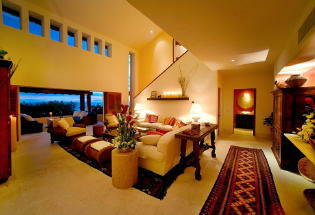 ft. of air-conditioned living space plus 2800 sq.ft. of covered and uncovered terrace area. 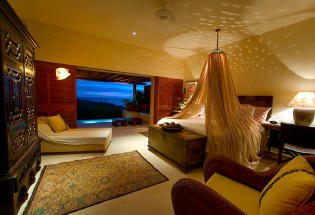 There are two Master Suites and one guest casita. 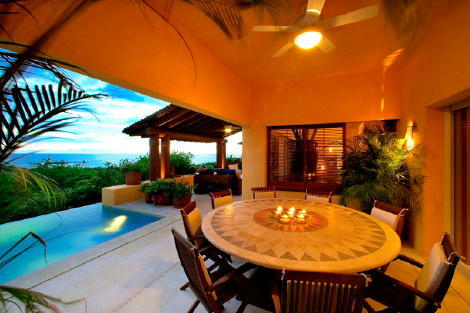 Living and dining rooms open onto the terrace with fantasitc views of the Pacific Ocean. Some of the amenities include large screen TV/DVD w/ satellite connection, complete entertainment system, water purification system, 24-hour security, use of residents beach club, tennis facilities, discounted rate at Jack Nicklaus Signature Golf Course, maid service and concierge service.